Indian cuisine covers a variety of healthy foods, spices, beans, and vegetables. Weight loss is about curbing the calorie intake and not the food intake. If you’re trying to shed those extra kilos, start your day with a healthy, nutritious and calorie-controlled Indian breakfast. The total amount of calories needed per day for weight loss varies from person to person which may range from 1,200 calories to 1,800 calories/day. Once you have zeroed in on your daily calorie requirement, divide it equally between the three meals, leaving 100 to 200 calories for a snack. An Indian breakfast to lose weight should not contain more than 350 calories to 550 calories. Eating anything for breakfast will not serve the purpose of weight loss. Hence, it is essential to plan your breakfast if you are looking to lose weight. A nutritious breakfast should consist of the balanced amount of macronutrients such as carbohydrates, proteins, fiber as well as micronutrients such as vitamins and minerals. Listed below are several healthy Indian breakfast recipes for weight loss. 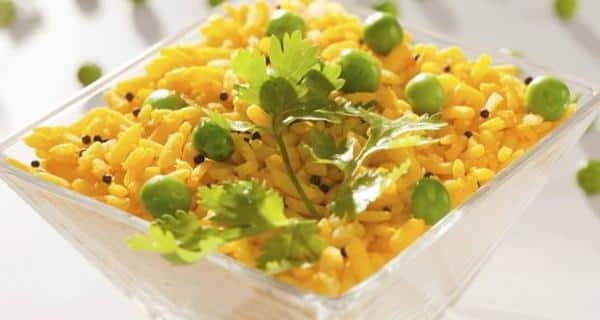 Mixed sprout poha is an ideal breakfast for vegetarian people. Sprouts are beneficial for a healthy digestive system and shiny skin, nails as well as hair. By enhancing the activity of hydrolytic enzymes, sprouts help to stabilize the blood sugar levels. Poha is a good source of carbohydrates. Apart from carbs, Poha is also rich in Vitamin B complex, Vitamin C, calcium, Iron, and fiber. Wash beaten rice/Poha in a sieve and keep it aside for 3 minutes. Allow water to drain completely. Heat oil in a non-stick pan. Add onions, mustard seeds, and green chilies. Sauté till the crackling sound of Mustard seeds appears. Add mixed sprouts, salt, sugar and cook it for 5 minutes. Add Poha, coriander leaves and lemon juice. Stir continuously and cook for 3 minutes. With the goodness of whole wheat bread, Masala cheese toast is a perfect Indian breakfast to lose weight. It’s quick, easy and makes you feel full even in a single toast. Apart from the carbs and protein, Masala cheese toast also contains Vitamin A, B3, C, folic acids, calcium, iron, and zinc. Heat oil in non-sticky pan and add green chilies – chopped onion. Cook for a minute. Add boiled vegetable, mashed potatoes, chili powder, garam masala, salt, and coriander leaves. Stir and cook for 3 minutes. Allow the filling to cool and divide the filling into equal sized toppings. Toast the bread and spread the topping on it. Add 1 tbsp of cheese (grated) on the toast. Bake it in a pre-heated oven at a temperature of 200 C for 5 minutes. Chana Dal pancake is an ideal option for breakfast because of its low glycemic index. You can also add various vegetables to make it more nutritious. Chana Dal has an ability to utilize blood sugar effectively. Chana Dal mixed along with vegetables and curd is extremely beneficial for health. Make a rough batter of soaked Chana Dal. Add carrots, green chilies, ginger, fenugreek leaves, spinach, pinch of salt to the batter and mix it properly. Divide the batter into portions depending upon the number of pancakes, you are willing to make. Pour a tbsp of cooking oil in a non-stick pan. Put a portion of the batter in a circular manner and cook it on a slow flame. Previous articleWhy You Shouldn’t Use Fat Burners? Poha isn’t it a simple carb ? Poha is nothing but flattened white rice.. so it falls in the same category as white rice.